Notes for Friction chapter of class 11 physics. Dronstudy provides free comprehensive chapterwise class 11 physics notes with proper images & diagram. If we push a book on a horizontal table with a certain initial velocity, it eventually comes to rest. This shows that there is some force opposing the motion of the book on the table. This is called the ‘frictional force’. It arises due to interaction between the molecules of the book and of the table. Actually, whenever the surface of a body slides over the surface of another body, each body exerts a frictional force on the other which is parallel to the surface in contact. The frictional force on each body is opposite to the direction of its motion relative to the other. Thus, when a book slides along the surface of a table from left to right, the frictional force acting on the book is directed to the left while an equal frictional force acts on the table directed to the right. Frictional force may also exist between surfaces even before the relative motion starts. Let us consider a block at rest on a horizontal table surface. The block is acted upon by two forces: its weight mg acting vertically downward at its centre of gravity, and the reactionary-force N exerted on it by the table which is directed vertically upward and passes through its centre of gravity. Since the block is in equilibrium, N = mg. In the Figure the lines of action of mg and N are shown slightly displaced for clarity. 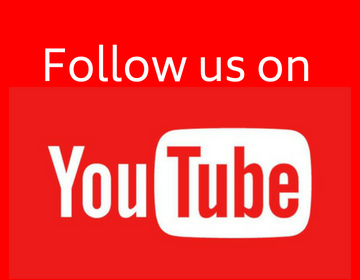 When we apply a small horizontal force F, say towards right, the block does not move. The force R exerted on the block by the table surface is now so inclined (figure (a)) toward left that R, mg and F may form a ‘closed’ triangle (since the block is still in equilibrium). Figure (b). The force R can be resolved into two components; parallel and perpendicular to the contact-surfaces. The component parallel to the contact surface is called the ‘force of static friction’ f, which balances the applied force F (F = f ). The component perpendicular to the contact surfaces is the ‘normal reaction’ N exerted on the block which balances the weight mg of the block (N = mg). Figure (c). Now, if the applied force F is slightly increased, the block still does not begin to move. 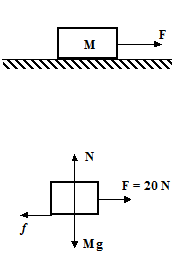 This means that the force R is further inclined towards left so that the force of static friction f also increases to become equal to the new value of F. Thus, as the applied force F is increased, the force of static friction f also increases, but after a certain limit f cannot increase any more. At this moment the block is just about to move. This maximum value of the static frictional force is called ‘limiting frictional force’ (it is equal to the smallest force required to start motion). Now, as the applied force is further increased, the block begins to move. The limiting (maximum) static frictional force depends upon the nature of the surfaces in contact. It does not depend upon the size or area of the surfaces. For the given surfaces, the limiting frictional force is directly proportional to the normal reaction N.
where the constant of proportionality ms is called the 'coefficient of static friction'. The above formula holds only when has its maximum (limiting) value. Before this stage, force of friction . 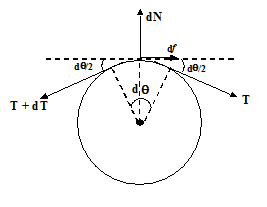 If the direction of the applied force F is reversed, the direction of also reverses, while the direction of N remains unchanged. In fact is always opposite to F.
Thus, the coefficient of static friction is equal to the tangent of the angle of friction. Once the motion starts, the frictional force acting between the surfaces decreases, so that a smaller force F is required to maintain uniform motion. The force acting between the surfaces in relative motion is called the ‘kinetic frictional force’ which is less than the limiting force of static friction . We know from daily experiences that a lesser force is required to maintain the motion of a body than the force required to start the body from rest. where is the coefficient of kinetic friction and its value is less than . In the figure(a), a block is placed on a rough inclined plane making an angle with the horizontal. Initially, the block is stationary. The F.B.D. of the block is shown in figure (b). The weight can be resolved into two components, parallel to the inclined plane and perpendicular to it. Due to the parallel component , the block has a tendency to slide down the plane, but the static frictional force f exerted on the block by the plane is preventing it from sliding. On increasing the angle of inclination , the component increases, but simultaneously f also increases. When f increases to its limiting (maximum)) value, the block is just about to slide. Suppose in this position the angle of inclination of the plane is . Hence, measuring the angle of inclination at which the block just starts sliding, the coefficient of static friction can be determined. 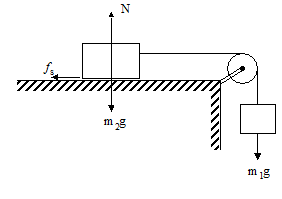 A block of mass M = 10 kg is placed at rest on a horizontal surface as shown in the figure. The coefficient of friction between the block and the surface is µ = 0.3. It is pulled with a horizontal force F.
Also note that friction force is not always equal to µN. It is the limiting or maximum value of friction. 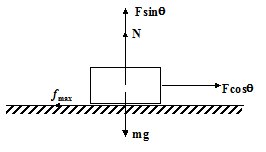 At any stage friction force may attain any value between 0 and µ N.
For the system shown in the figure, the coefficient of static and kinetic friction between the block m2 and the horizontal surface is µs and µk. 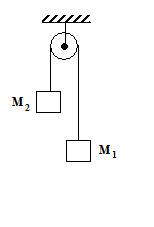 (i) Find the maximum value of m1 so that the block m2 does not move. (ii) If m1 = 5 kg, find the acceleration of the system. (i) The force which tries to accelerate the system is m1g, while the opposing force is fs. For maximum value of m1 under equilibrium condition. A block is placed at rest on a horizontal surface. The coefficient of friction between the block and the surface is µ. It is pulled with a force F at an angle q with the horizontal as shown in the figure. Find the value of q at which minimum force is required to move the block. Also find the magnitude of this minimum force. The free body diagram of the block is shown in the figure. The friction force is maximum because the block is just about to move. Note that minimum force required to move the block is at the angle of friction. We know that when a string passes over a smooth pulley, the tension on each side of the string is same. But if the surface of the pulley is rough then the tensions on either side of the string are different. The difference in tension depends on the coefficient of friction (µ) and the angle ( ) through which the string is wrapped over the pulley. where µ is the coefficient of friction and is the angle subtended by the string over the pulley. Consider a small element of string, which subtends an angle d at the centre. or T2 = T1. This shows that T2 > T1. Find the minimum and maximum values of M2 for which the system remains in equilibrium. Take M1 = 10 kg and µ = 0.2. So easy method of explanation.. and easily carried in our mind..